(update) star of stage, screen, and radio. He made significant contributions to all three beginning at nine-years-old in vaudeville, eventually moving on to Broadway. 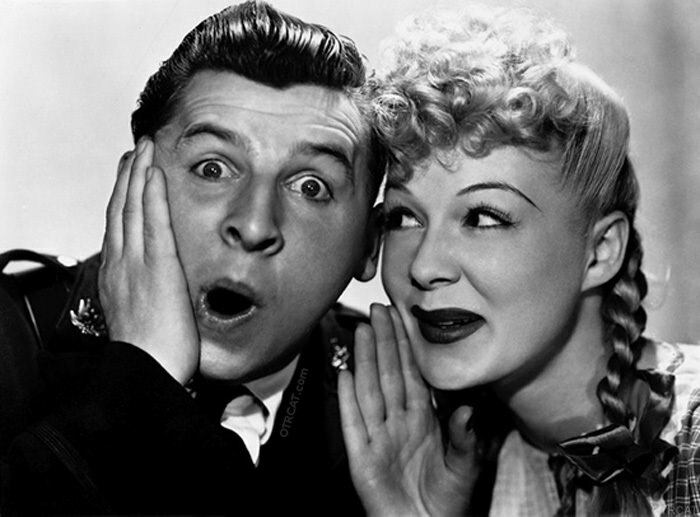 Eddie Bracken is was a star of stage, screen and radio. He made significant contributions to all three beginning at nine-years-old in vaudeville , eventually moving on to Broadway. Bracken's first major role on Broadway was in the play " So Proudly We Hail" which closed after 14 performances. He made his mark, however, as JoJo Jordan in the musical comedy "Too Many Girls" in 1939, a role he reprised in the RKO motion picture. Bracken continued working in Hollywood in the 1940s. Two of his most famous and best-loved movies were, "The Miracle of Morgan's Creek" with Betty Hutton and "Hail the Conquering Hero." During this time he also starred in The Eddie Bracken Show on radio as well as appearing as a guest star on many other radio shows. Unexpectedly in 1953, Bracken left Hollywood and went back to Broadway starring in such classic plays as "Hello, Dolly!," "The Odd Couple," and "Sugar Babies." He stayed out of motion pictures for 30 years, returning to appear as a character actor and eventually taking guest starring roles on television. 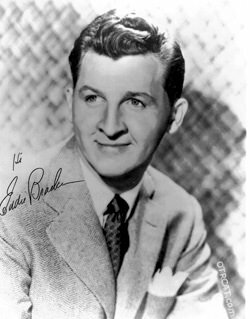 The Eddie Bracken Collection includes episodes from The Eddie Bracken Show plus guest appearances on Academy Award Theater, Anthology, Best Plays, Kraft Music Hall, Your Movietown Radio Theater, NBC University Theater, Sealtest Variety and Suspense plus a rare episode of Let's Talk Hollywood. Be the first to comment on "Eddie Bracken"